Washington, DC, March 3, 2011 - Community gym surfaces do not appear to be reservoirs for MRSA  transmission, according to a study published in the March issue of the American Journal of Infection Control. Researchers from the University of Florida College of Medicine wanted to know whether community gymnasium equipment surfaces could harbor staphylococcal colonies and to assess whether disinfection lowers the rate of bacterial transmission. A total of 240 samples were collected from three local gyms, before and after cleaning, at three different times. Each sample was analyzed for methicillin-resistant Staphylococcus aureus (MRSA) and methicillin-sensitive Staphylococcus aureus (MSSA). None of the 240 samples were positive for MRSA or MSSA. "Despite the increasing incidence of community-acquired MRSA/MSSA infections, the gyms that we studied do not appear to be significant sources of staphylococcal infection," commented lead investigator Kathleen Ryan, MD, Department of Pediatrics, College of Medicine, University of Florida. "Aggressive and expensive surface disinfection programs may not be warranted in certain gymnasium settings." MRSA is known to remain viable on dry surfaces for extended periods. With rising concerns about spread of infection, gyms have begun extensive cleaning programs, and some offer complimentary wipes for use by the patrons. Equipment tested in each gym included two separate gym mats, benches, dumbbells, cardio machines, and weight machines. The first swabbing was completed at midday to serve as a baseline. A second sample was obtained in the two gyms that offered wipes shortly after equipment was cleaned with the wipes provided for discretionary use. A third sample was obtained shortly after equipment was cleaned according to the gym's standard cleaning practices. "This study supports the evidence that transmission [of MRSA] is more likely to originate from skin-to-skin contact than skin-to-surface contact in the community," say the authors. As such, MRSA remains a concern in sports, especially wrestling. The authors recognize that broad conclusions should not be drawn from a study of this size and they suggest that future studies could swab recently used clothing of gym patrons, doorknobs, water fountains, or other areas within the locker room that might bemore susceptible to colonization by MRSA and MSSA. They also recognized the possibility that the results could be explained by the gyms' routine cleaning policies and the fact that 2 of the 3 supplied disinfectant wipes for patron use. MRSA is an antibiotic-resistant bacteria that can lead to severe infections and is associated with approximately 19,000 deaths annually, according to the Centers for Disease Control and Prevention (CDC). The annual cost to treat MRSA in hospitalized patients is estimated at $3.2 to 4.2 billion. 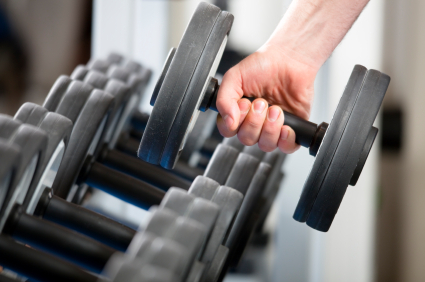 Community gym surfaces do not appear to be reservoirs for MRSA  transmission, according to a study published in the March issue of the American Journal of Infection Control, suggesting that skin-to-skin contact, not skin-to-surface contact transmits the infection.